Tronixpro luminous oval beads are a great addition to hook lengths day or night. 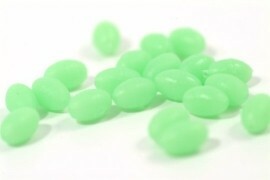 The green colour will act as an attractor during the day, and at night the beads will glow up luminous. FREE Delivery on all Tronix Attractors,beads,and misc tackle over £100!! !